I've never seen alice so happy to be at work. Whelp SJF I just couldn't so it. There' just too much black on peach. Alice and Buck will have to wait until I'm better at this. :P Until then... The really hard part was getting that face to look even remotely three dimensional. आप have no idea.. Wallpaper and background images in the पेंग्विन्स ऑफ मॅडगास्कर club tagged: penguins of madagascar alice. Whelp SJF I just couldn't so it. There' just too much black on peach. Alice and Buck will have to wait until I'm better at this. :P Until then... The really hard part was getting that face to look even remotely three dimensional. आप have no idea. This पेंग्विन्स ऑफ मॅडगास्कर photo contains सड़क, शहर के दृश्य, शहरी सेटिंग, शहर दृश्य, and शहरी की स्थापना. There might also be brownstone and ब्राउनस्टोन. So how are those nightmares you guys have been having? Nope. It's from a different cartoon. It was hard to work with too. well, i'm officially stumped. can you give a clue? Ha! I knew it, I knew it was goofy, i knew I recognize the nose! When you identified the word black on the description, I confirmed it was him. A relative? maybe his son max? XD hehe I think I may edit my requests forum. XD It's mainly Max. You caught me, hehe. XD I was waiting for that. ^ Dang girl, you crazy. Alice should really sue whoever botched the Botox job. It's been a while since I've seen An Extremely Goofy Movie. I initially thought of Bobby for some reason, but when I looked up his picture, I didn't see it as much. 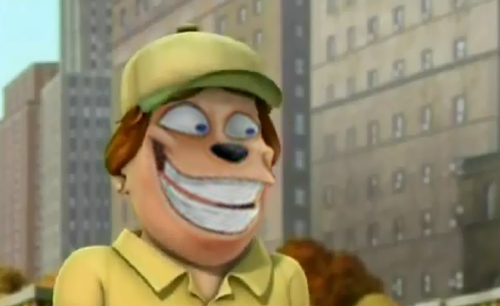 Bradley Uppercrust III!! LOL! 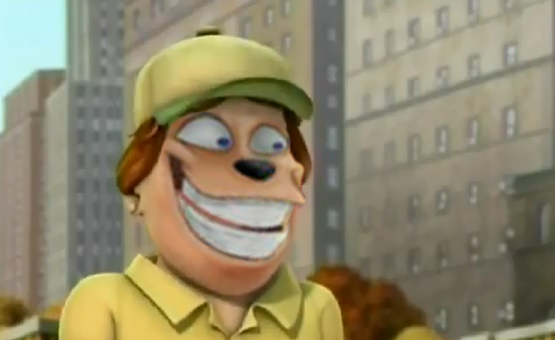 Jeff Bennett voiced that character as I can recall. LMAO!!! You're the BEST photoshopper (Is that what this is?) EVER!! !